Massage in Bangalore: Treatment For Back Pain, Sleep Problems, And Fatigue! 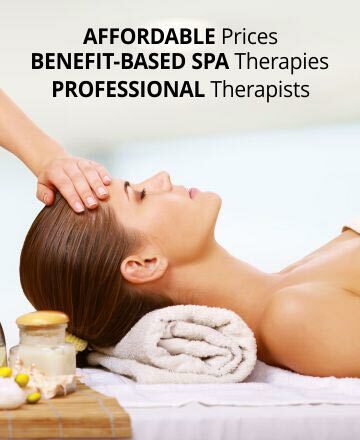 Are you looking for a therapeutic massage in Bangalore to feel rejuvenated? You have come to the right place! We at Four Fountains De-Stress offer different massages in Bangalore that are mainly intended to cure health issues caused by stressful lifestyle. Modern lifestyle is very hectic and stressful. Although the digitalization has made our lives easier, the increased mental stress is proving to be extremely harmful to health. People who are under too much stress often report having neck stiffness, back pain, and even sleep problems to some extent. The reasons could be the increased levels of hormone cortisol in the body, during episodes of stress. Massage in Bangalore is an effective solution to your health issues that are triggered by stress. Massage therapies such as Swedish Massage can effectively reduce muscle stiffness whereas Aromatherapy Massage in Bangalore can help you get the mental calmness needed to get sound sleep at night.